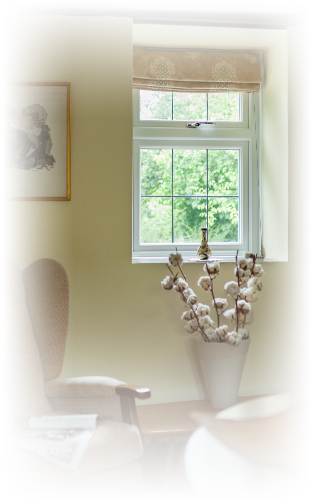 For over 28 years Abbey Windows have been steadily building up an enviable local reputation as arguably the number one upvc double glazing window, door and conservatory manufacturer and installer, throughout Leicestershire. This is a fact that we are extremely proud of as we take customer satisfaction really seriously. Recently we have been independently assessed and are now a 'Which? Trusted Trader', that further reinforces our commitment to exceptional quality. Whilst many window companies have come, and gone, we've gone from strength to strength. The business is still owned by the same team and many of the original staff are still with the company and we have a huge amount of experience that only comes with time. We put our success down to understanding the customers needs, manufacturing the very best products and a highly skilled team of installers who always go the extra mile with a keen eye for detail. Our uPVC double glazed windows, doors and conservatories are manufactured using the latest technologies that guarantee our exacting standards are met first time, every time. However, modern technology is only part of the story, as we understand the importance of a highly trained work force, many of which are time-honoured skilled craftsmen in their own right. To ensure consistent quality we only specify the very best materials, sourced from some of Europe’s market leading suppliers such as Deceuninck, along established Worldwide company with many years experience in the extrusion of PVC U window and door systems. We are pleased to announce a number of new and exciting additions to our product range, including double glazed Vertical Sliding Sashes, Bi-Fold Doors, Coloured Doors and Composite Doors. We are extremely proud of our beautiful showroom, where you can view our stylish range of windows, doors and conservatories – take a sneek peak by clicking HERE or pop along in person for a coffee and a no obligation chat about how we can improve your home – it’s easy and free to park your car too.